Wellington X HE578 crashed in the North Sea 3/8-1943. The aircraft belonged to RAF 166 Sqn Bomber Command and was coded AS-G.
T/O 00:26 Kirmington. OP: Gardening the Elbe estuary. At 02:03 hours a radio call was received from HE578 asking for help due to mechanical problems. The position was fixed to 53`43N 02`45E. The Wellington must have crashed into the North Sea killing all onboard. 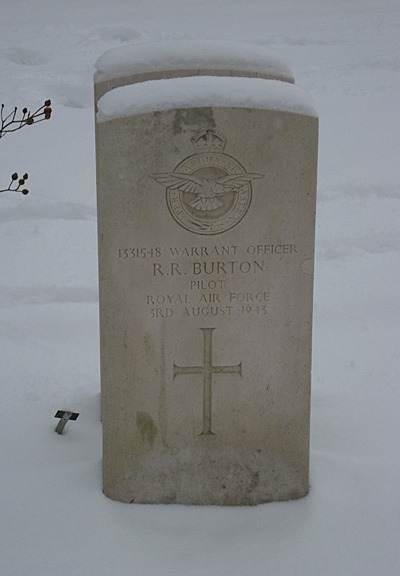 Pilot W/O Royce R. Burton was found washed ashore on 25/9 near Vedersø and laid to rest in Lemvig cemetery late September 1943 apparently on 28/9 1943. 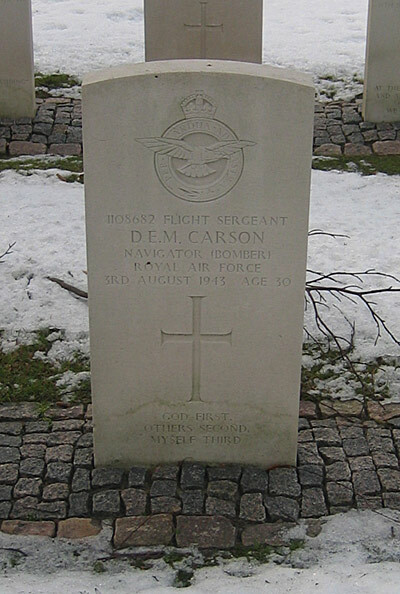 The body of Navigator/Air Bomber F/Sgt David E.M. Carson was found in the sea off Hansted and was laid to rest in Frederikshavn cemetery on 29/9 1943. W/Op Sgt Bertram S. Harris, Air Gnr. James H. Connel and Air Gnr. 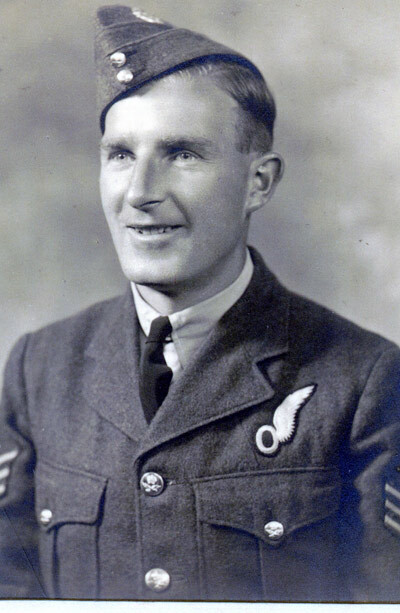 Alan Ord have no known grave and are commemorated on the Runnymede Memorial.